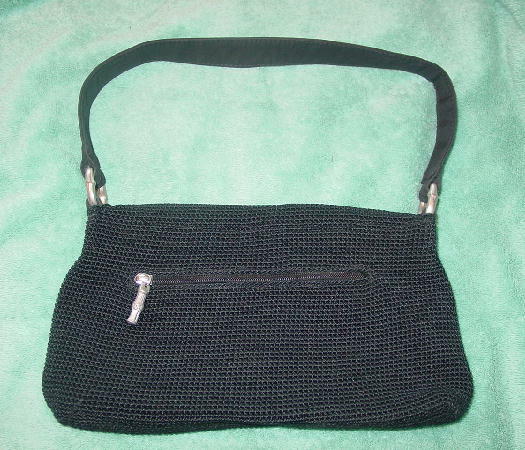 This black knit purse is by The Sak. It has an envelope styling with a magnetic snap under the front flap. There is a black 19 3/4" by 1" double-sided fabric strap attached to the body of the purse by anodized silver-tone metal loops which have a bamboo styling. 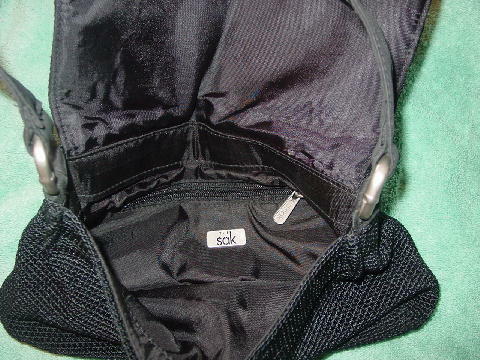 It has a black lining with a large interior zipper pocket with The Sak in elevated letters on the pull. The front of the pocket also has a metal tag with The Sak in etched black letters. 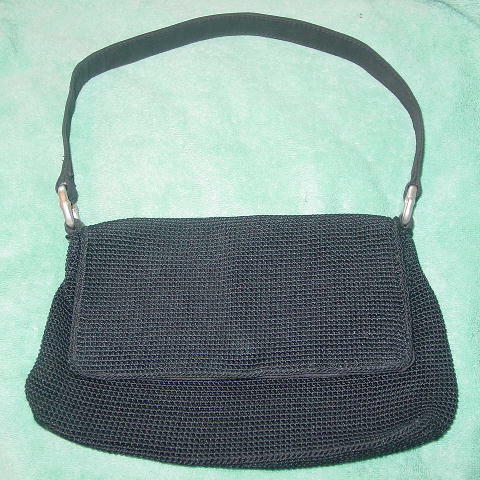 The back of the purse has a lined zippered compartment with a bamboo shaped metal pull.